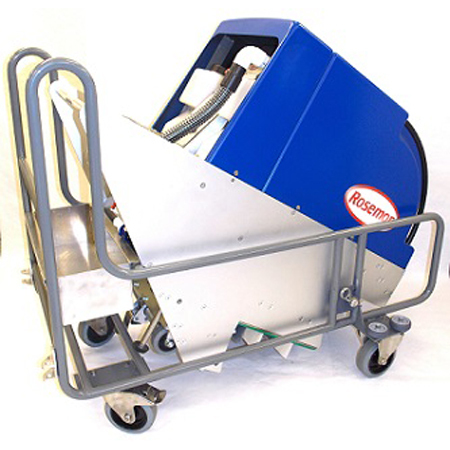 The ROTOMAC ET15B is a battery powered escalator cleaner. It contains 15 rotating brushes of different lengths and materials to simultaneously scrub and sweep dirt off escalator steps. The ROTOMAC ET15B cleans the horizontal and vertical parts of the escalator step. It is easily transported on a trolly and sits stationary on the escalator.